The Best Homemaking blogs from thousands of top Homemaking blogs in our index using search and social metrics. Data will be refreshed once a week. Also check out Homemaking Podcasts and Homemaking Youtube Channels. Homemaking newsletter is a comprehensive summary of the day's most important blog posts and news articles from the best Homemaking websites on the web, and delivered to your email inbox each morning. To subscribe, simply provide us with your email address. Mobile, AL About Blog 3 Boys and a Dog provides homemaking and homeschooling tips, tricks, & freebies for busy moms. Facebook fans 21,018. Twitter followers 28,871. United States About Blog This Old House blog provides expert advice on home improvement, renovating, gardening and decorating. Its mission is to demystify the home improvement process and to celebrate the fusion of old world craftsmanship and modern technology. Facebook fans 755,811. Twitter followers 194,511. About Blog Creative Homemaking is a blog about real food, delicious recipes, natural homemade products, homemaking tips & tricks, healthy lifestyle & more. Facebook fans 10,584. Twitter followers 14,533. Texas, USA About Blog The Hippy Homemaker is a blogger writing about aromatherapy, herbalism, diy beauty, holistic health, green living, and more. Facebook fans 90,960. Twitter followers 1,286. Ocala, Florida About Blog Dawn Lopez is a creative lifestyle, Florida blogger sharing home hacks, food, crafts, diy and easy slow cooker recipes. Her mission is to share awesome and helpful ideas for families. Facebook fans 49,483. Twitter followers 148,929. About Blog The Homemaking Foundations podcast exists to encourage and equip Christian Homemakers to serve the Lord with Joy and diligence within our homes. The podcast is a mix of hands-on practical ideas as well as Biblical encouragement for those long weary days. Join in and listen to get the tools, inspiration, and encouragement you need to craft a Gospel-Centered Home. Facebook fans 28,292. Twitter followers 2,064. Georgia, USA About Blog On The Pleasures of Homemaking blog, you'll find frugal living tips, budget decorating ideas, gardening tips, recipes from scratch, upcycling ideas and much more. Facebook fans n/a. Twitter followers 1,084. About Blog Artful Homemaking has been reviving the art of homemaking, and inspiring women to live beautiful and creative lives. It provides DIY tutorials, free printables, and help for your home and life. Facebook fans 7,795. Twitter followers 4,627. USA About Blog On Homemaking Organized blog, you’ll find a little bit homemaking advice a little bit deals and sales, and all the mish mash inbetween. It provides resources for keeping your home organized. Minnesota, USA About Blog Welcome to the Woods is a blog for the homemaker in you. It features decor, DIY projects, crafts, and design tips for your home on a miniscule budget. It also has many ways to save money, financial advice, and parenting tricks to improve your overall life. If you're a DIY-er, a decorator, a parent, or just like to save money, you will love this blog. Facebook fans 615. Twitter followers 617. Germany About Blog The Homemaking Cottage is an online magazine for homemaking. It teaches how to balance all aspects of a woman's life. The mission of the Homemaking Cottage is to inspire, encourage, teach and support all women in the home. Facebook fans 18,420. Twitter followers 9,040. Portland, OR About Blog The author of Passionate Homemaking and her family are on a mission to be homemakers that cultivate simplicity, grace, joy and intentionality in every aspect of their lives. Facebook fans 28,682. Twitter followers 2,496. The Heartland About Blog Raising Arrows is all about large family homeschooling & homemaking. Amy Roberts is a blogger, author & conference speaker. Facebook fans 28,295. Twitter followers 8,159. About Blog Follow Awe Filled Homemaker to join the family of Laura Prater in their crazy awe-filled adventures from homemaking, parenting, homeschooling, to military life. Facebook fans 11,082. Twitter followers 8,465. About Blog Homan at Home provides simple and budget-friendly ways to make your house a home. The author of this blog is learning to make things nice for her growing family with the skills (and the budget!) she has. follow her experiences and share any ideas or tips you’ve picked up along the way. Facebook fans 68. Twitter followers 24. About Blog Domestic Deadline is all about attempting to learn the art of homemaking and all the crafts that get in the way. Facebook fans 742. Twitter followers 1,032. Brooklyn, NY About Blog Brooklyn Homemaker is a cooking, homemaking, & lifestyle blog. It is a blog about home decor, interior design, an obsessive love for furniture & pretty things, entertaining & party planning, schnauzers, marriage, amateur photography, product reviews, rants, raves, strong opinions, cocktails & drunkenness. Facebook fans 1,125. Twitter followers 234. Atlanta, GA About Blog Crystal is a blogger who covers mostly food, but she also shares posts with diy, lifestyle, & anything else she cares to throw in between. Facebook fans 88,404. Twitter followers 6,033. N 38°3' 0'' / W 85°31' 0'' About Blog Musings of a Homemaker is a place to come and share together how to live life on a shoestring budget while creating your home to be the place of welcome. Facebook fans 2,416. Twitter followers 3,367. Eastern US About Blog The Gluten-Free Homemaker blog provides recipes & tips for the gluten-free diet. Linda Etherton loves to share gluten-free recipes from a variety of bloggers as well as her owns. You'll also find links to other related content such as menu plans and relevant news articles. Facebook fans 476,709. Twitter followers 4,693. About Blog Biblical Homemaking is a website about desiring to glorify God in everything we do as women. BH is a blog about living for Jesus through homemaking, marriage, parenting, home remodeling, fitness, food, and more. Audio devotionals, quick and easy recipes, and frugal living are just some of the topics featured at Biblical Homemaking. Facebook fans 170,880. Twitter followers 1,521. About Blog Because Managing a Home Shouldn't Be Dull. Humorous Homemaking will help you learn to manage your home without losing your mind! Facebook fans 43,283. Twitter followers n/a. About Blog Vintage Kitty is a blog that celebrates a fun, hands-on approach to homemaking that marries traditional elements with modern style. Let’s play house! Facebook fans 408. Twitter followers 589. About Blog I’m a homemaker, DIYer, craftaholic, home organizer, minimalist, writer, thirty-something mom of two amazing children, our fur-baby, and wife to an incredible husband of 8 years. My mission is to create simplicity in homemaking tasks while providing DIY ideas that spark creativity. Blog by Melanie. Facebook fans 1,163. Twitter followers 131. Lakeland, FL About Blog Snippets of Inspiration is a homemaking blog to inspire action. Facebook fans 2,851. Twitter followers 1,735. Ohio, USA About Blog Country Mouse City Spouse is all about homemaking while keeping up with the modern world. Facebook fans 925. Twitter followers 1,389. Austin, TX About Blog The Seasoned Homemaker is where Leslie helps you find balance and beauty with a needle and thread. Facebook fans 5,625. Twitter followers 473. About Blog Raising Homemakers is dedicated to inspiring, teaching and blessing mothers who have an interest in raising their daughter(s) in godliness and preparing them in the arts of homemaking to the glory of God. Facebook fans 45,022. Twitter followers 899. About Blog Maria started Adventures of the Mommy Homemaker in 2010 and it quickly grew into a lifestyle blog featuring traditional Italian recipes and discusses living with PCOS and suffering from Infertility. She also educates and advocates for women suffering from PCOS and Infertility. Facebook fans 6,718. Twitter followers 17,513. Austin TX About Blog Hip Girl's Guide To Homemaking provides practical domestic advice, tutorials, and recipes for keeping house in the 21st century. Kate Payne is the author and creator of Hip Girl's Guide to Homemaking book and blog. Facebook fans 19,347. Twitter followers 3,323. South Africa About Blog Homemaker's Online is a portal for both advertisers as well as homeowners, where consumers can find home improvement ideas, inspiration and services across the country. Facebook fans 19,970. Twitter followers 2,912. About Blog Ashley is a firm believer in beauty. Her aim with this blog is to create something beautiful that is worthy of your time. She is the wife of a wonderful man, Michael, and mommy to a precious little girl and sweet little boy. Her blog is dedicated to encouraging you in the many roles and relationships you have. You’ll find articles and resources added regularly under each topic. Facebook fans 6,099. Twitter followers 953. Los Angeles, California About Blog Hommemaker Founder Orlando Soria is an interior designer, writer, and visual artist who lives in Los Angeles, California where serves as the Creative Director for Homepolish. Facebook fans 4,343. Twitter followers 2,692. USA About Blog Inspiration and support in caring for home and family. In this blog you will find helpful tips for organising your home beautifully. Facebook fans 4,311. Twitter followers 680. United States About Blog Homemakersdaily is all about sharing what Steph, the author, has learned with other homemakers. The articles are directed toward all homemakers in all phases of life. What you’ll find is practical, nitty gritty, to-the-point articles to help you in your everyday life as you try to stretch your budget and your time and make a home for your family! Facebook fans 1,932. Twitter followers 1,158. About Blog FreshHomeGuide focuses on a wide range of home cleaning products alongside home gadgets and appliances. You will find also detailed reviews and guides. Our expertise extends across a number of fields from vacuum cleaners through to hot tubs and DIY projects. Florida About Blog Stacey Eckert, on her blog, Stacey Homemaker, shares her favorite simple healthy recipes that anyone can make. Facebook fans 1,727. Twitter followers 1,122. About Blog I Am a Homemaker is a DIY and lifestyle blog that aims to demystify DIY for the everyday homeowner and help them live large on less. Facebook fans 1,537. Twitter followers 347. About Blog Do you need encouragement to live fully, to save money, or to love your home? Then you have come to the right place. Here you'll find practical tips for decluttering, time management, decorating, frugal living, and inspiration for moms. Facebook fans 196. Twitter followers 90. About Blog Strangers & Pilgrims on Earth is a homemaking, homeschooling and homesteading blog. Traveling the USA full-time About Blog Life has become way too complicated. Let me show you how to embrace simple living and get back to the basics. Facebook fans 11,624. Twitter followers 2,440. Saskatchewan About Blog Ashley Mullen is momma to 3 wonderful children, currently living in Southeast Saskatchewan, but originally from Southwest Nova Scotia. Forgetful Momma is about sharing fun tips or tricks for having fun with your children no matter their age. Helping someone, find a quick easy, or healthy, or cheap meal to fit their needs and save them time and energy. Facebook fans 2,606. Twitter followers 2,842. Schoharie County, NY About Blog Shannon Hayes works with three generations of her family to raise grassfed and pastured meats on the steep hillsides of Sap Bush Hollow Farm in Schoharie County, New York. She blogs about sustainable farming and cooking on The Radical Homemaker . Facebook fans 3,504. Twitter followers 1,062. India About Blog Fabulous Mom Life is all about the fabulous journey of an Indian mom of 3 kids and her experiences and ideas on parenting, homemaking, decor, fashion and mommy life. Facebook fans 4,431. Twitter followers 323. About Blog For This Season is a place to discuss motherhood, homeschooling and the art of homemaking. Becky Marie is proud military wife and a stay at home mom to three little boys. She spends her days homeschooling and managing food allergies. where the wind blows About Blog The mission of Savvy Homemaking is to teach the young women to love their husbands, to love their children, to be discreet, chaste, homemakers, good, obedient to their own husbands, that the word of God may not be blasphemed. Facebook fans 742. Twitter followers 303. Charleston, WV About Blog At Honey & Pine, we help overwhelmed women simplify their lives by sharing tips and advice related to homemaking, gardening, recipes, self-care, simple living, organization, and natural beauty. Facebook fans 1,451. Twitter followers 2,927. USA About Blog The mission of Blessed Homemaking is to encourage women in their God-given role of being keepers at home. Facebook fans 3,749. Twitter followers 981. About Blog Crystal is a mom to 8 nearly all grown children. All of her children have been homeschooled. She loves to blog about homemaking, cooking and baking, family, homeschooling, life in midlife, and more. Montréal, Québec About Blog The Homemaker’s Life is a Montreal-based creative lifestyle blog for the avid do-it-yourselfer, creative individual and travel devotee. Facebook fans 56. Twitter followers 4. About Blog Old Fashioned Homemaking magazine features a mix of vintage and modern homemaking tips, recipes, crafts, and more. Facebook fans 1,150. Twitter followers 1,383. About Blog A blog about homemaking, simple living, thrift at home, frugal ideas, sewing, cooking, living wisely. About Blog Purposeful Homemaking is a blog where Becky strives to encourage and equip homemakers. Facebook fans 3,217. Twitter followers 568. About Blog Megan Smith is a wife and mama to 3 boys. She is a entrepreneur, writer and occasional crafter. She loves to learn about the art of homemaking. Facebook fans 1,165. Twitter followers n/a. Illinois, USA About Blog Find the ideas of home, cottage, cozy deck, DIY decor on Simple Cozy Charm. How you can transform your home, Make you home beautiful by reading our blog. Facebook fans 1,312. Twitter followers 745.
westminster, md About Blog Feed Me Mama blog is all about becoming a homemaker with a standard of grace. On the blog, Karli has been discussing Biblical homemaking, stewardship, natural health, social responsibility, pregnancy, parenting, homesteading, and handling life with grace! Facebook fans 1,059. Twitter followers 156. About Blog Joyous Home is a God honoring homemaking magazine for the entire family! It has been inspiring creative homemaking. Theresa is the owner of Joyous Home, publisher of Seasons At Home Magazine. Facebook fans 1,649. Twitter followers 371. South Africa About Blog Frugal in SA is all about homemaking & living on a budget in South Africa. Facebook fans 598. Twitter followers 1,021. New Hampshire, USA About Blog I want to share all of my decorating and cooking ideas with you! Facebook fans 1,528. Twitter followers 319. Facebook fans 215. Twitter followers 2,729. Toronto, Canada About Blog Francesca is a 30 year old Italian middle child (of three girls), mommy of 2, who is married to her best Friend. She is constantly baking for friends and family, trying out new recipes and old family secrets. On her blog, you’ll find her stories, recipes, craft ideas and photos! Facebook fans 1,344. Twitter followers 807. T-Town About Blog The Urban Acres is a home lifestyle blog, dedicated to showing people how to create a simple, handmade home. On the blog, you'll find some of Sallie's favorite homemaking projects a peek into her newest adventure, completely renovating her 1960s home. Facebook fans 534. Twitter followers 997. Oak Park, IL About Blog A Homemakers's Habitat is full of wholesome recipes and tips, crafts and ideas for entertaining kiddos. Facebook fans 541. Twitter followers 482. About Blog On Homemaking Dreams blog, Debbie shares glimpses of home, bits and pieces of her days, sewing, quilting, frugal living, gardening, and all aspects of homemaking. Cherry Hill, NJ About Blog Jen - The Halfway Homemaker - is a Work-from-home mom with a husband, two kids, two dogs and her own consulting business. Join her on her journey through the work-life-balance with laughter, sarcasm, and a little bit of humility knowing that she is definitely not Martha Stewart. Facebook fans 1,228. Twitter followers 436. About Blog Life in the big, ugly house. A mother of 12 blogs about large families, homeschooling, adoption, homemaking, books, and whatever else crosses her mind. Michigan About Blog The Artisan Homemaker is Jessica's place to share with you recipes for delicious grain free, gluten free food as well as DIY projects for yourself and your home. Facebook fans 120. Twitter followers 10.
north carolina About Blog Follow Haley Through her homemaking journey in NC & life on the farm. She and her family have simple life values & outlooks. Facebook fans 327. Twitter followers 177. Virginia About Blog Covenant Homemaking is a blog encouraging women to fulfill their roles as wives, mothers, and homemakers unto the glory of God. Facebook fans 1,025. Twitter followers 399. Michigan About Blog Hip homemaking tips you can't live without! Facebook fans 9. Twitter followers 6. Pacific Northwest Washington About Blog Valerie Garner has been providing Ideas and tips for your living spaces and family on her blog, Aspiring Homemaker. Facebook fans 287. Twitter followers 24,107. About Blog I help homemakers create a calming home by marrying the nurturing aspect of vintage homemaking and the practicality and efficiency of modern minimalism. Blog by Janice Ruste. Facebook fans 38. Twitter followers 23. Howard About Blog Homemaking on Howard is a food, makeup, and lifestyle blog that loves to explore modern living in a fun, accessible way. Staffordshire, UK About Blog The World of Suzy Homemaker is a crafting and home styling blog for women (and men) who want more than just pretty, by Sue. Facebook fans 530. Twitter followers 2,389. Alabama About Blog Crystal is just a crafty Southern gal who loves Jesus, High heels, Chocolate, and football. Follow her blog to keep up with all the fun DIY projects, crafts, and total randomness that she loves to share. Facebook fans 1,405. Twitter followers 869. United Kingdom About Blog Our homes are our castles, and creating a space where we are happy and comfortable is so important. Homemaking and Horticulture features tips and advice about homes, gardens, entertaining, family life and much more. My name is Stacey, I'm a passionate blogger from the West Midlands in the UK and love everything home related. East Anglia About Blog The author of this blog is a photographer and lifestyle blogger who loves to write about all things home. You can expect to find tips, tricks and tales about home making, gardening, crafts, cooking & baking on her blog. Facebook fans 115. Twitter followers 53. Chicago, IL About Blog Margaret McCarthy uses this blog to write about some pretty random stuff including living in the Midwest/Indiana, being a wife/mother, design/art/photography, working from home & freelancing, her family, her faith and plenty of other topics. Manchester, NH About Blog Sharilynn Marie is a 27 year old crappy apartment dweller, married to a pretty rad guy named Evan, adoring auntie to three very adorable monkeys, crazy cat lady and full time online college student working on my associate’s degree in management. Her blog is all about the misadventures of a bored housewife. Facebook fans 70. Twitter followers 9. About Blog Mr Home Maker blog is all about thrifty homemaking Chronicles Of One Aussie Mister. About Blog Our Homemaking Story blog is both a reference source and a personal journal of our journey in pursuing home and family through homemaking. About Blog Homemaker At Heart features Biblical life lessons on homemaking, motherhood, and family life from the trenches of real life. Toronto, Ontario About Blog Lizzie's hope in creating this blog is that something she shares may help others to do the same. Facebook fans 3. Twitter followers 13. About Blog As a new wife and mommy, Krista has been striving to become an expert in her new field, the field of homemaking. Follow this blog to join her in her journey. About Blog Freestyle Homemaking is a blog on homemaking by Amy. About Blog The Industrious Homemaker is all about helping women to become effective, efficient, environmentally safe, and empowered homemakers without feeling guilty or overwhelmed. About - I’m Sue ~ irreverent cockney and most untypical homemaker. Welcome to my curious compendium of crafts and seasonal decor, where handmade meets high street and home is crafted with attitude and a sprinkling of magic. About - Homemaking and Horticulture is a blog about homes, gardens, entertaining and family life. About - The Homemakery sprung from a love of making, making things for my home, making things for my friends and family, and a general frustration with loving a variety of crafts but having to search high and low for the kind of pretty craft materials I wanted to use. 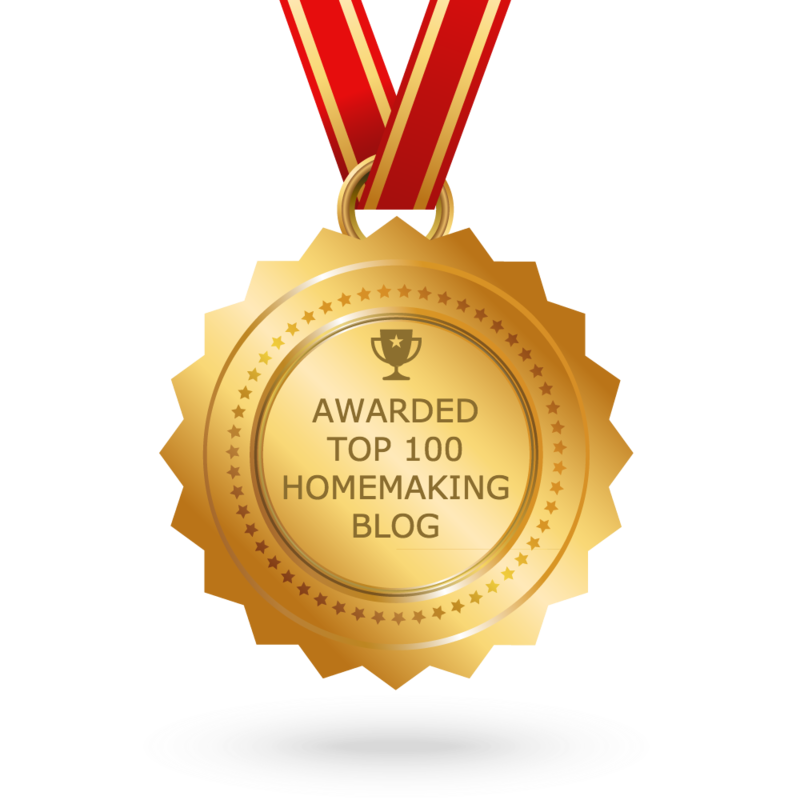 CONGRATULATIONS to every blogger that has made this Top Homemaking blogs list! This is the most comprehensive list of best Homemaking blogs on the internet and I’m honoured to have you as part of this! I personally give you a high-five and want to thank you for your contribution to this world.